U.S. Vice President Mike Pence speaking earlier today at the Pentagon, where he announced the creation of the new Space Force. Speaking at the Pentagon earlier today, Vice President Mike Pence outlined the official plan to create the U.S. Space Force, the first new branch of the military in more than 70 years. Describing it as “an idea whose time has come,” Pence told an audience of U.S. Armed Forces that the Space Force—the first new military branch since the establishment of the U.S. Air Force in 1947—will restore American leadership in space. Pence provided some new details about the Space Force and his administration’s plan for rolling out the new branch, which he expects to be up-and-running by 2020. Later today, the Pentagon will be releasing a congressionally mandated report describing the steps needed to create the new branch. Quoting President Trump, Pence said American adversaries have transformed space into a warfighting domain, “just like land, air, and sea,” requiring the U.S. to create a new military service, the nation’s sixth, dedicated to protecting its interests and assets in space. “What was once peaceful and uncontested is now crowded and adversarial,” said Pence. “Other countries now threaten U.S. space assets as never before,” developing technologies that can “jam, blind, and disable communications satellites from the ground.” As Pence made clear, those “other countries” are Russia and China. Pence described a 2007 test, for example, in which China used a missile to destroy a defunct weather satellite, a demonstration he described as “highly provocative.” He talked about sophisticated in-orbit technologies being developed by both China and Russia that could be used to disable U.S. satellites, including laser-based technologies. 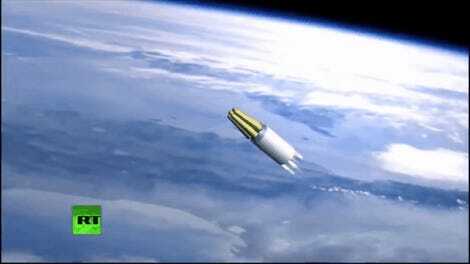 China, he said, is investing heavily in hypersonic missiles capable of evading U.S. detection; the VP mentioned of China’s first hypersonic aircraft, which underwent its first successful test last week. He also warned that China and Russia are integrating anti-satellite attacks into their wartime doctrines. Pence, who said the new branch will be equal to the five other branches, outlined four actions required to “evolve the space capabilities” of the U.S. military. A new unified command structure will be created, called U.S. Space Command, that will be led by a four-star general to ensure integration across the other branches and domains. It will develop new tactics and procedures specific to space, among other responsibilities. The new Space Force will also see the creation of “an elite group of warfighters specializing in space,” Pence said, forming the “backbone of the newest armed service.” This new Space Operations Force will draw men and women from across the military, he said, and grow into its own unique and cohesive community. A new joint organization, the Space Development Agency, will be tasked with developing cutting-edge warfighting capabilities for the physical domain of space. “Bold breakthroughs” in technologies are required, said Pence, which need to be developed “faster than U.S. adversaries.” Finally, the new Space Force will require a new Assistant Secretary for the Defense of Space, who will report directly to the Secretary of Defense. 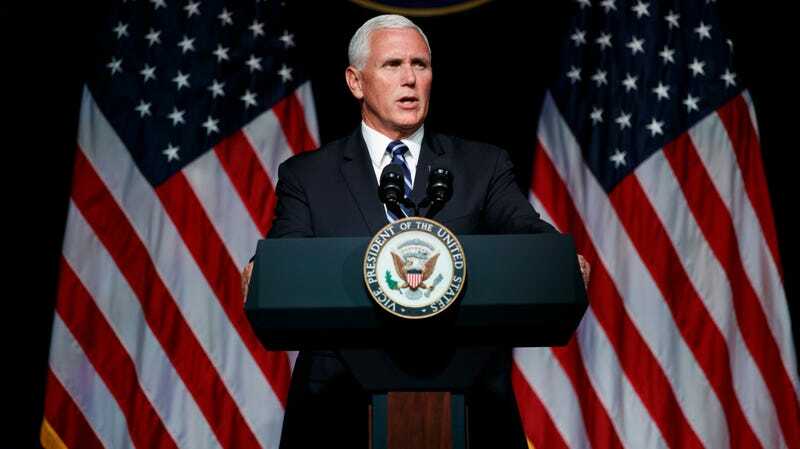 This civilian appointment will need to maintain responsibility and accountability within the branch, and will help to transition elements of the military into the space-based force, said Pence. The Space Force could be operational by 2020, said Pence, but he said “Congress must act.” The 2019 federal budget, scheduled for February, will include a wish-list specific to the needs of the new branch. The Trump administration is moving ahead with its plans to create this new branch, despite of complaints that it’ll contribute to new bureaucratic burdens, costs, and a mass reorganization of America’s military assets. What’s more, the U.S. Air Force is now likely to be stripped of many of its current space-oriented responsibilities. Regardless, it’s happening, and as Pence pointed out, so too is the next chapter in world military history.